It’s time to meet the last four girls… everyone seems to be doing really well! I’m hoping to get the coop as close to finished as I can tomorrow… might have to hold off on the painting as it’s supposed to rain on Sunday. Meet Gwen. 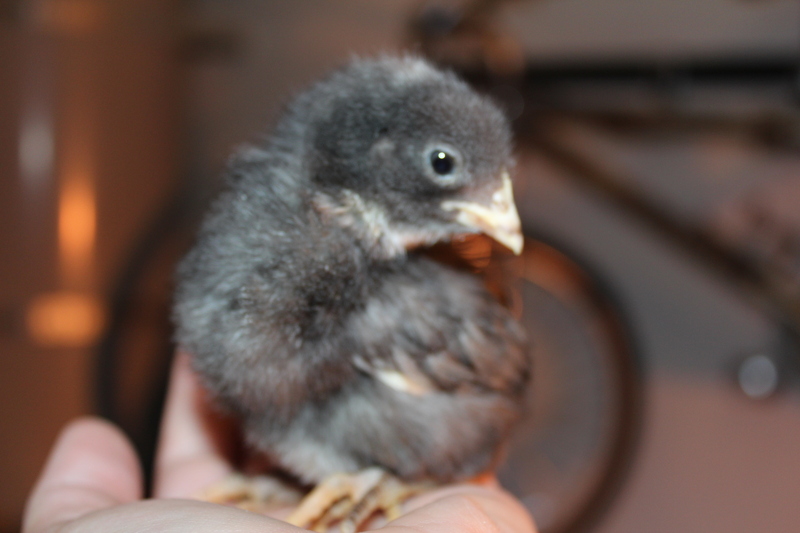 I think she might be my lone Dominique chick, but it’s hard to tell with these last 3 black chicks. However, she has the most while, mostly on her belly, like a penguin. She was really mad at me in this picture because I set her down on the workbench and she wanted to be with her buddies. She’s the littlest of all of my chicks. Meet Cleo. 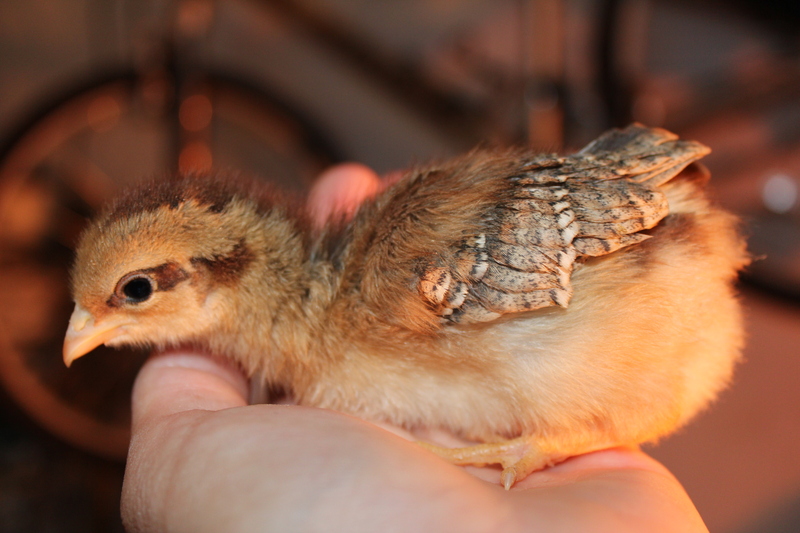 I think she’s my Speckled Sussex chick. I named her Cleo because she has very Cleopatra-like eyeliner. 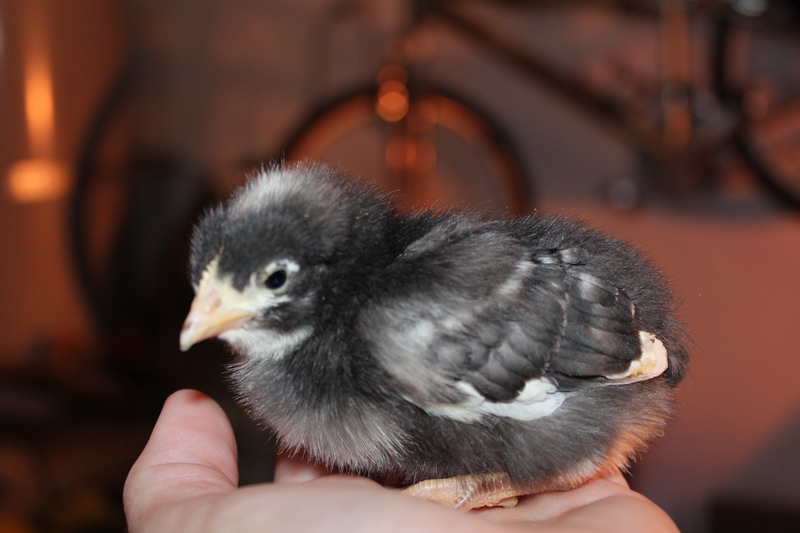 Meet Domino, who I think is one of my Barred Rock chicks. She’s got a couple white splotches but is mostly black. 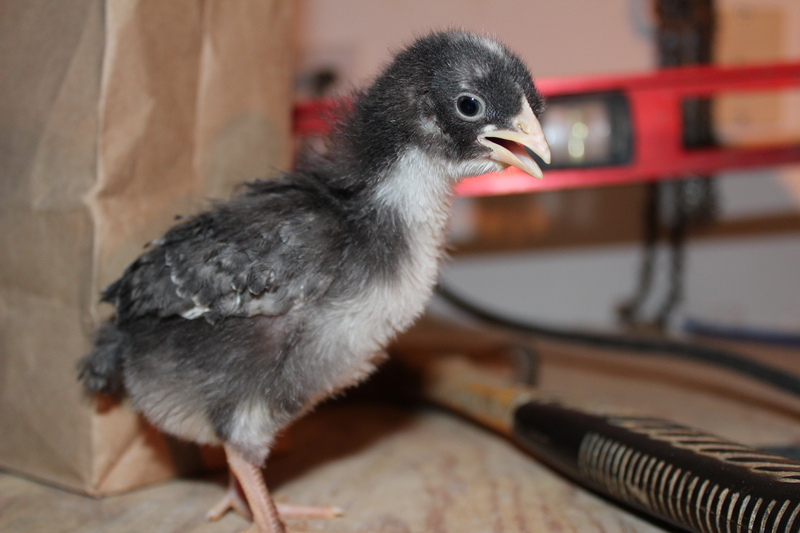 Meet Dice, who I think is my other Barred Rock chick. She gets her name because she has the most black and white speckles all over her (unlike Domino who has patches).